Storia is in beta now and available for Windows PC through the website; an iPad version is coming later this month. 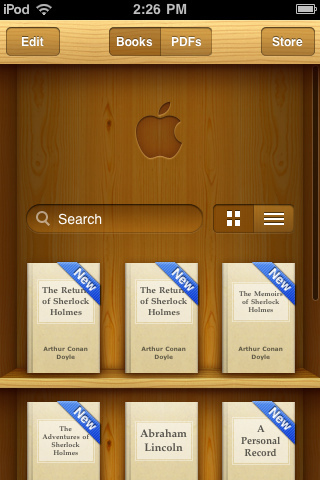 The app itself is free and comes with five free e-books. A store contains over 1,000 other children’s e-books—many available in digital format for the first time—that can be sorted by grade level, reading level, age and character/series. When the app officially launches in the fall, it will contain over 2,000 titles, reports the AP, “that can be bought directly from the publisher or from retailers.” But the Storia website also says, “Since Storia eBooks come with special features to enhance your child’s reading experience, Storia eBooks can only be read on the Storia eReading app.” I’m clarifying this with Scholastic—if these books are essentially apps that won’t be sold through e-bookstores like Kindle and Nook, that is certainly noteworthy. via In Major Digitization Effort, Scholastic Launches E-Reading App For Kids | paidContent. Apple’s more recent decision to enforce tough rules on in-App sales of content has been less popular. It has forced Amazon, Google, B&N and Kobo among others in publishing and other creative industries, to change their Apps to disable links to their ebook or content stores. Further it made it impossible for an ebook retailer to sell an ebook through the Apple in-App purchase system without giving 30% to Apple. Nasty eh? The opportunity this created and that everyone missed , even me (till this weekend when it dawned on me), is for publishers to go direct to consumers and launch their own apps selling ebooks to readers. Think about it, ebook retailers cannot make money from selling ebooks via Apple’s in-App sales because their margins simply won’t stretch that far. In the case of Agency titles they would be losing money, even on self-published works they might be losing money. However, a publisher, selling direct through their own app, or even a branded app in partnership with a number of other publishers in a given genre, could easily afford the 30% charge and even an administration charge too so long as it was kept low. Apple has shifted the economics of the App-economy to disintermediate the distributors and empower the content producer. Sure, in doing so they have gained power and revenue potential for themselves, but they have created an opportunity for a savvy publisher who has a brand that readers identify with. I would expect to see more of these from larger publishers as well as specialist ones (Witness for instance Amber Books’ Military History app). They make sense and they will hopefully sell books. The question is whether they lead to the building of relationships with readers, a crucial gap in what iOS offers publishers. That lack of customer data was reportedly one reason why the FT eschews the app store for their own HTML based apps and subscription options. There are many angles to cover and such apps can only form part of an overall strategy but I think Storia suggests large publishers are looking for opportunities and acting when they seem them! Apple did book big book publishers a favour some time ago when, by giving the big six leverage over Amazon (with the launch of their new ebook platform iBooks), they enabled those large publishers to enforce Agency pricing for ebooks. That gave the big six the power to set prices and extract a higher share of the revenue from their sales then had been the case for print books. It was a major moment in the development of the ebook market and one that has received a lot of attention and, at least from within the industry, a lot of praise. I’m really pleased to be able to share this news, it means that at least one (and probably more) of the “Story Of Series” will be available as apps for iOS devices by Christmas. The Irish Story and Collca are delighted to announce that they’ve agreed to develop and co-publish iPhone apps for the first five books in The Story Of series of Irish histories. The partnership will use Collca’s Condor software and data framework to bring the apps to market in rapid succession starting with John Dorney’s The Story Of The Easter Rising, 1916. The Irish Story and Collca will both actively market the apps which will be available from the Apple iTunes app store as soon they’re published. 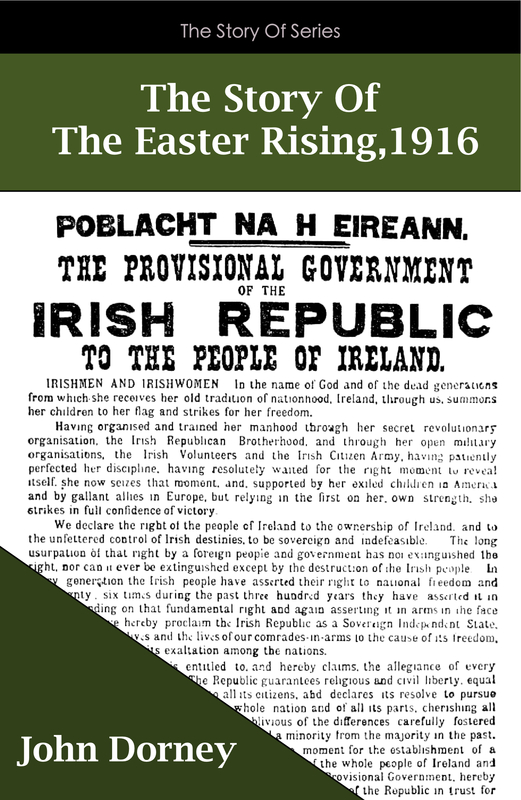 The Irish Story is a digital first publisher of Irish History titles. Collca, the co-publishers of the acclaimed History In An Hour series, was founded specifically as an ePublisher. It currently publishes book-derived and other educational and reference mobile apps primarily for the Apple iOS platform (iPad, iPhone and iPod Touch). Collca is also actively planning to adopt the ePUB ebook standard as an additional platform for some new titles.